The board of the Seattle chapter of the Asian American Journalists Association (AAJA) expresses its shock and sadness over last week’s announcement that Hearst Corp. has put the Seattle Post-Intelligencer up for sale and plans to shut it down if no deal is struck. This is a loss for the Pacific Northwest and diversity in journalism. The presence of two competing, award-winning daily newspapers has given this region more intense reportage of local issues, diverse communities and government actions than it would have had otherwise. 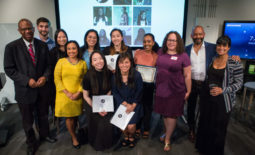 The P-I also has been a key supporter of AAJA’s mission by offering talented journalists of color a place to hone their craft and become leaders in the profession – as well as leaders in AAJA. Hearst and P-I staff have donated resources over the years to support AAJA Seattle’s Northwest Journalists of Color (NJC) scholarship, Lunar New Year banquet, and professional development programs. We recognize that Hearst, a for-profit business, could not turn a blind eye to its financial losses. Several of the nation’s newspaper owners have put their properties up for sale or declared bankruptcy. The business challenges are real, and fresh ideas are urgently needed. We encourage Hearst to seek a buyer who is committed to quality journalism and newsroom diversity. And we encourage the community to engage in a broader dialogue about the future of diversity in local journalism. Since 1985, AAJA’s Seattle chapter has provided scholarships for students, professional development for journalists and service to the community in the Pacific Northwest. The chapter’s members work throughout Washington state in print, television, radio and online media. AAJA is a non-profit professional organization based in San Francisco. Learn more about the Seattle chapter by going to aajaseattle.org.